Maruti Suzuki in September 2016 did what they’ve always done. They ventured into newer territories with a view of making them their own. This is signified by their foray into the Light Commercial Vehicle segment in India with the Maruti Suzuki Super Carry. Super carry was launched with a pilot in the cities of Ahmedabad, Kolkata and Ludhiana. However, 2017-2018 saw Maruti Suzuki Super Carry break through into the LCV space with 10,000 units sold. This was achieved with more than 200 outlets in 165 cities across India. An even bigger indicator of its gradual rise in popularity is its ever-rising monthly sales figures. By the end of September 2018, the Super Carry had sold around 21,300 units in India. The Super Carry comes with a lightweight but powerful 793cc two-cylinder turbocharged 793cc Diesel engine. As a result, this engine generates maximum power of 32bhp at 3500 rpm and peak torque of 75 NM at 2000 rpm. It also comes in a 1200cc four-cylinder CNG engine variant. Super Carry CNG engine generates maximum power of 63bhp at 6000 rpm and peak torque of 85 NM at 3000 rpm. Maruti Suzuki Super Carry is a greener alternative in the LCV space with both engines complying with BS-IV emission norms. You can go the extra mile with ease as super carry gives an outstanding optimum fuel efficiency. Most noteworthy is that it gives a mileage of 22.07* km/l for the diesel engine variant and 23.24* km/kg for the CNG variant. And a 5-speed manual transmission ensures that you get the benefit of greater savings and greater profits with the Super Carry. *Fuel efficiency as certified by test agency under rule 115 of the CMVR, 1989. The Maruti Suzuki Mini Pickup Truck Super Carry boasts of a large deck. The loading tray measures 3.25 sq. metres with an all-terrain payload capacity of 740kg. A broad wheelbase of 2110mm provides better stability for heavy loads. A ground clearance of 160 mm further boosts the Super Carry’s ability to carry larger loads in a single trip on a super-stable platform. And an adjustable desk helps to load and unload with greater ease. The super carry’s firmly attached hooks secure goods safely, ensuring minimum product damage. Further, it showcases the signature trait of Maruti Suzuki vehicles: versatility, a trait highly coveted in the LCV segment. Thus the Maruti Suzuki Super Carry has been claimed to have applications in a variety of industries including agriculture, logistics, furniture, FMCG and more. Maruti Suzuki Super Carry does help to stay ahead of the competition with the better loading capacity and higher stability of the large, sturdy deck. Also Read: NEW MARUTI ERTIGA 2018 – PRICE, INTERIORS, EXTERIORS, ENGINE, SAFETY. Maruti Suzuki Super carry van is super easy to handle as well. First of all, a smooth car-like gear shift and a bigger and lighter steering wheel in the super carry ensures greater ease with better comfort and control. Also, a small turning radius of 4300 mm allows for precise and easy movement in narrow lanes. Furthermore, the strong and sturdy strut assembly enhances stability, improves manoeuvrability and offers better ride quality. Finally, the sturdy and powerful leaf spring suspension makes for better load bearing capacity. Moreover, it also enhances stability. Thus, Maruti Suzuki Super Carry, the powerful mini pickup truck helps in transporting the heaviest loads quickly and easily. The Super Carry Van is designed with a singular focus on safety. And it comes with the Maruti Suzuki assurance of safety. Safety comes naturally to the Super Carry with a high-strength steel front panel. This design helps in reducing the impact and potential damage in case of a collision. Because of the large, extremely durable, outside rearview mirrors, ORVMs in the Super Carry, there is greater clarity and enhanced view. Thus making it safer. But the most important feature is the Load Sensing Proportioning Valve (LSPV) braking system. LSPV automatically adjusts brake pressure according to the weight of the load. This ensures the safety and stability of the truck, even when it is fully loaded. The CNG variant of Super Carry is also equipped with a safety micro-switch on the fuel lid. This cuts off fuel supply during CNG refuelling. Thus preventing the accidental starting of the vehicle. Special emphasis on comfort makes the Maruti Suzuki Super Carry very comfortable to drive or travel in. Even long and arduous journeys feel like a breeze. The driver’s seat is long and sliding. They designed it such that you can adjust it to your preference and comfort. As a result of the cabin being spacious and provided with extra legroom, long journeys become extra comfortable. Furthermore, comfort comes from a special heat-resistant driver’s seat. This seat keeps the driver insulated from the heat of the engine. VALUE FOR MONEY Maruti Suzuki Super Carry is rich in features but not priced for the rich. The price of Super Carry in Mumbai starts at Rs. 4.14 lacs for the Diesel engine variant. While the CNG engine variant starts at Rs. 4.86 Lacs. 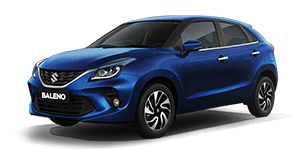 This affordable cost of Super Carry combined with Maruti Suzuki’s unparalleled after-sales support gives you the best bang for your buck. The Super Carry is a super example of what Maruti Suzuki signifies. And its future in the LCV segment looks brighter than ever. You can avail doorstep Test-drive of Maruti Suzuki Super Carry across Mumbai, Thane & Palghar. Also, Book Maruti Suzuki Super Carry Online. Visit the commercial showroom of Shivam Autozone at Nalasopara East. To know more kindly click Maruti Suzuki Super Carry. 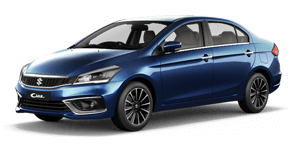 Shivam Autozone is an authorized Maruti Suzuki dealership.